and the guests go wild! Although this is a perfect way to be welcomed as a couple for the first time, we have been inspired by some of our imaginative Brides and Grooms and decided to share with you what they have come up with for some fun Grand Introductions! 1. Have the Wedding Party Select their entrance song! Take the pressure off yourself for this one. Let your wedding party select the song that they will enter the reception to (with your approval of course!). By having the wedding party select this song, they will be more inclined to dance their way into the reception and really set the tone for the night. 3. Surprise the guests and bust out some choreography! Showcase the wedding party’s hidden talent of dancing with some fun choreography once all of the wedding party is inside the reception area. The guests will not see this coming, and will be inspired by the wedding party to dance the night way! 4. Play a guessing game with the crowd! Have some funny, sweet, or perfectly embarrassing stories or facts about your wedding party (that they are willing to share, of course)? 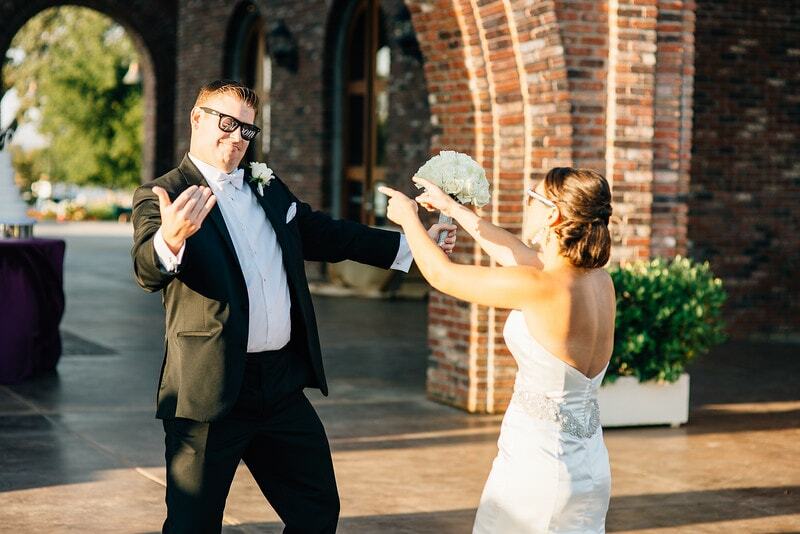 Have your Wedding DJ/Host MC introduce each person in the wedding party with a “Which of the bridesmaids or groomsmen…” question and let the crowd yell out answers! Then have the chosen one in the wedding party admit to his or her story by stepping forward. This can be a fun way to get interactive with your wedding guests and share silly memories with your loved ones. If you are looking for a way to recognize your parents, and you are not doing a toast or a welcome speech, include them in the grand introduction and watch them boogie into the party!